À partir d’écrits personnels et de consultations épistolaires féminines, cet ouvrage revisite l’histoire du corps et de la médecine au Siècle des lumières, en s’intéressant aux représentations et pratiques des femmes de la haute bourgeoisie et de la noblesse française et helvétique. 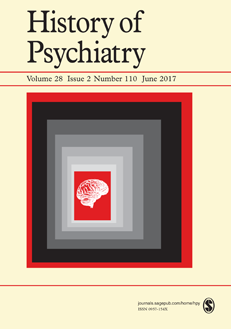 En tant que lectrices des ouvrages de vulgarisation scientifique et patientes des médecins et chirurgiens-accoucheurs, elles jouent un rôle mésestimé dans la construction et la promotion des pratiques professionnelles, dans le contexte d’une médicalisation croissante de l’accouchement, des soins infantiles et de la sexualité. 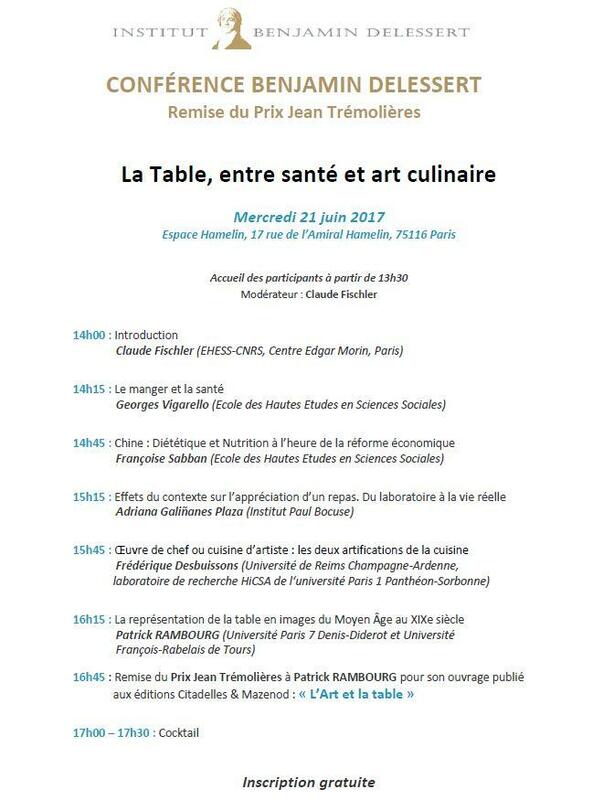 En coédition avec le Comité des travaux historiques et scientifiques. This conference concentrates on the ways in which the human body has been imagined and re-imagined in different Christian cultures at different times from Late Antiquity to present day. In Christianity the human body is often perceived as a privileged site not only for the God-Man relationship but also for the formation of and relationships within and between, communities of believers. These perceptions emerge from and generate different imaginaries of the body. Imagination can be understood as a human faculty that in many ways plays a central part in people’s religious lives and experiences. The notion does not imply something that is false or untrue but rather denotes the ways people go about constituting and perceiving their lived world and their immanent and transcendent environments and relationships. 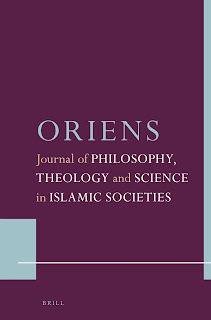 Therefore, Christian imaginaries of the body are not static but depend on the Christian culture in question and are subject to negotiation and change. They also are often central to religious schisms and conflicts but shared imaginaries of the body also have the capacity to unite. This conference focuses especially upon changes and alterations: how and why does the Christian body become re-imagined in different Christian cultures? What is the role of such imaginations of the body in religious practice, art, museums, and science, for example? What are the methods and technologies for imagining the body in these contexts? What ethical and other consequences do different imaginations of the body and alterations in them have for Christians and for society at large? Proposals for individual papers should be sent to cscc@utu.fi by 20 June 2017. Please include in the submission a paper abstract of no more than 250 words and your name, affiliation and e-mail address. Notifications of abstract acceptance will be sent by June 30. The conference fee is 50 euros (reduced fee available for graduate students). This covers the programme, coffees and banquet on Thursday evening. Conference homepage can be found at: reimagining.utu.fi. The conference is organised by the Turku Institute for Advanced Studies (TIAS), the Centre for the Study of Christian Cultures (CSCC) and the Turku Centre for Medieval and Early Modern Studies (TUCEM EMS). L'Équipe d'Accueil Sciences, Philosophie, Humanités (SPH, EA 4574), cohabilitée par l’Université de Bordeaux et l’Université Bordeaux-Montaigne lance un appel à candidature pour une bourse post-doctorale d'un montant de 15 000€ pour l’année universitaire 2017-2018. Ce financement d’un projet de recherche personnelle menée librement ne constitue pas un salaire et ne donne pas lieu à l’établissement d’un contrat de travail. 2. Un curriculum universitaire et professionnel. 3. Une attestation d’un membre du centre SPH indiquant accepter d’encadrer scientifiquement les recherches du (de la) candidat(e). avant le 16 juin 2017 au plus tard. L'objet du mail devra comporter la mention « bourse post-doctorale SPH » suivie du nom du candidat. Veiller à solliciter un accusé de réception. Les dossiers seront examinés par le conseil de l’EA SPH le 20 juin 2017. Universités Bordeaux et Bordeaux-Montaigne, lance un appel à candidatures pour une bourse de recherche doctorale d'un montant de 60 000€ (15 000€/an sur 4 ans). Ce financement d’une recherche personnelle menée librement ne constitue pas un salaire et ne donne pas lieu à l’établissement d’un contrat de travail. 1. Pour les candidats français, une copie recto-verso de leur carte nationale d’identité. 1. Une lettre de motivation indiquant clairement qu’il s’agit d’une demande de bourse SPH. Indiquer adresses électronique et postale, numéros de téléphone, projet professionnel, emploi actuel, concours obtenus ou passés. mentionnant clairement l’admission. Pour les candidats en cours de master 2, fournir un relevé de notes du premier semestre du M2 et une copie du procès-verbal de soutenance de mémoire. 3. Pour les titulaires d’un diplôme non français, fournir une traduction authentique du diplôme et des relevés de notes, certifiée exacte soit par un agent diplomatique ou consulaire français, soit par un traducteur juré en France. 4. Un curriculum universitaire et professionnel. 5. Un projet de thèse de 2 ou 3 pages maximum avec le libellé du sujet (titre). 6. Une lettre de recommandation du directeur du mémoire de Master 2 et l'accord signé du directeur de thèse pressenti appartenant nécessairement au centre de recherche SPH. 7. Les candidats étrangers non titulaires d’un diplôme français doivent fournir une certification de langue française délivrée par l’ambassade de France ou par le consulat. avant le 16 juin 2017 au plus tard. L'objet du mail devra comporter la mention « Bourses SPH» suivie du nom du candidat. Veiller à solliciter un accusé de réception. Les dossiers seront examinés par une commission du centre le 20 juin 2017. Seront retenus un certain nombre de dossiers pour audition des candidats le 27 juin 2017. A wealth of literature has shed light on religious, philosophical, scientific and medical concepts of extraordinary bodies, wonders and monsters in the sixteenth, seventeenth and eighteenth centuries. Lorraine Daston and Katharine Park have been tremendously influential with their Wonders and the order of nature (1998) and in many ways contributed to our understanding of emotions and the monstrous before 1750. One of their suggestions is that there was no disenchantment, or clear pattern of naturalization, of monsters in the seventeenth and eighteenth centuries. Monstrous births were explained by natural causes, such as a narrow womb or an excess of seed, already by medieval writers whereas they could still be read as divine signs in the late seventeenth century. No linear story took monsters from an older religious framework to a newer naturalistic one or from prodigies to wonders to naturalized objects. Wonders eventually lost their position as cherished elements in European elite culture but that had nothing to do with secularization, the “rise of science”, or some triumph of rational thinking. Rather, the emergence of strict norms and absolute regularity, both of nature’s customs and God’s rules, is a better description of this shift. Nature’s habits hardened into inviolable laws in the late seventeenth century and Daston and Park picture “the subordination of anomalies to watertight natural laws, of nature to God, and of citizens and Christians to established authority”. Monsters became, in an anatomical framework, regarded as organisms that had failed to achieve their perfect final form. Their value now depended, not as earlier on their rarity or singularity, but on the body’s capacity to reveal still more rigid regularities in nature. The history of monsters as submitted, not to secular powers, but to strict norms in early eighteenth century nature, culture and religion is intriguing and a number of questions can be raised. Were all bodies normalized by 1750 or can monsters still be found in science and medicine in the late eighteenth century? 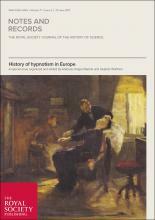 What else do we know about bodies and breaches of the expected in the early modern period? In the field of the deviant, has there been a general shift from natural rules to moral orders, from bodies to behavior? What other aspects of corporeality are there that can help us frame early modern nature and culture, to grasp its orders and disorders? The purpose of this workshop is to bring together scholars from different fields to discuss current research on extraordinary bodies in natural history, medicine, law, religion, philosophy, and travel literature in the early modern period. It will comprise of paper presentations and a concluding general discussion. Please provide your full name, institutional affiliation, and contact details. The format of the workshop will not allow for more than c. 10 papers. We will select the abstracts to be presented at the meeting considering original research and relevance to the theme of the workshop. By June 15, 2017 applicants will be notified if their papers have been accepted or not. The workshop will be two full days, i.e. morning to late afternoon October 26–27, 2017. Registration, lunches, conference dinner and accommodation (two nights at the conference hotel) are free of charge for participants presenting papers. It will also be possible to obtain limited economic support for travel expenses. Please indicate in the application if such support is required for attendance and what level of support is needed. There are a few places available for additional participants. The deadline for such applications is also June 1, 2017. For those interested, please indicate your reasons for wanting to take part in the conference. No economic support will be given to attendees who do not present papers. This workshop is organized by the research programme “Medicine at the Borders of Life: Fetal Research and the Emergence of Ethical Controversy”, funded by the Swedish Research Council and hosted by the Department of History of Science and Ideas at Uppsala University (http://medicalborders.se/). 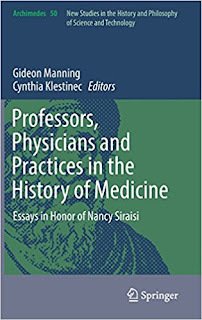 This book presents essays by eminent scholars from across the history of medicine, early science and European history, including those expert on the history of the book. The volume honors Professor Nancy Siraisi and reflects the impact that Siraisi's scholarship has had on a range of fields. 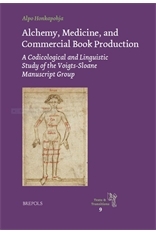 Contributions address several topics ranging from the medical provenance of biblical commentary to the early modern emergence of pathological medicine. Along the way, readers may learn of the purchasing habits of physician-book collectors, the writing of history and the development of natural history. 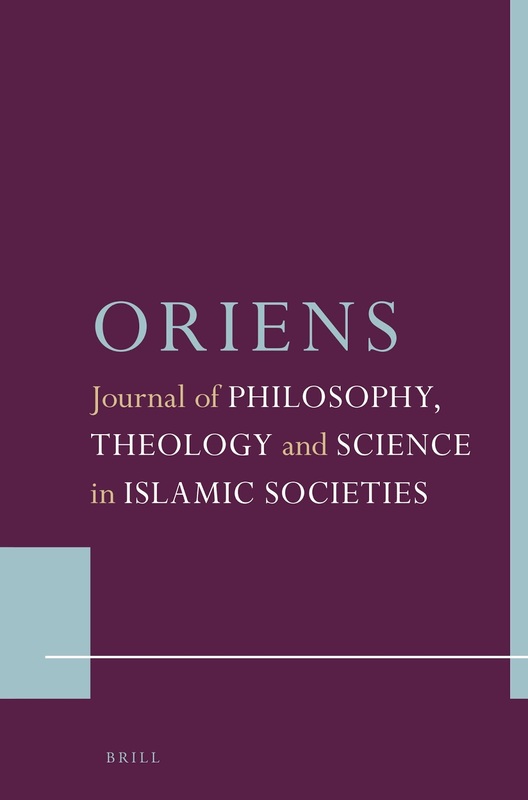 Modeling the interdisciplinary approaches championed by Siraisi, this volume attests to the enduring value of her scholarship while also highlighting critical areas of future research. Those with an interest in the history of science, the history of medicine and all related fields will find this work a stimulating and rewarding read. Selon une formule désormais éprouvée, cette journée d’étude réunira autour d’objets de la culture matérielle médiévale les regards croisés de l’histoire, de l’histoire de l’art et de la littérature, comme de l’archéologie et de l’anthropologie. Longtemps victime d’une vision faussée de l’attention que les femmes et les hommes du Moyen Age portaient à leur corps, les objets servant à en prendre soin ont bénéficié récemment d’un nouvel intérêt et d’avancées de la recherche. Ils seront ainsi questionnés et étudiés au cours de cette journée, dans leur diversité et dans toutes leurs dimensions. 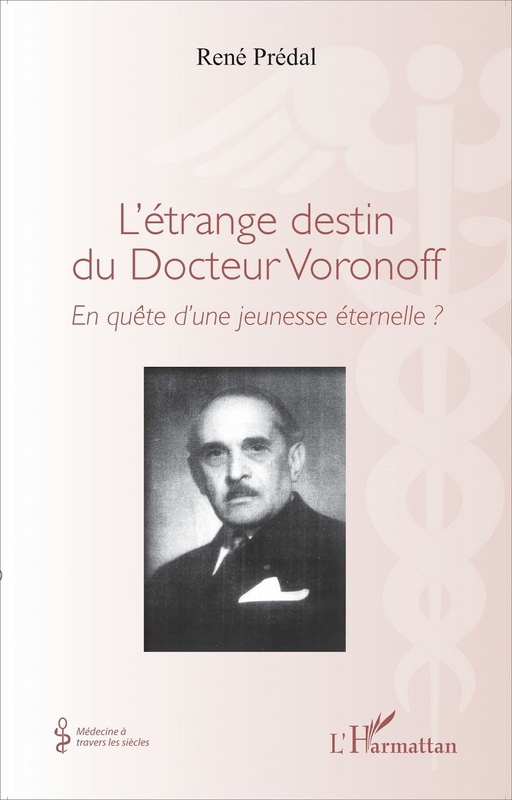 L'étrange destin du docteur Voronoff. En quête d'une jeunesse éternelle ? 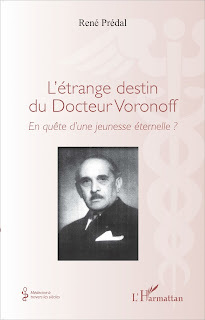 Alors que la psychanalyse commence à répandre les théories freudiennes plaçant la sexualité au centre des psychoses et névroses, le Docteur Voronoff, lui, soigne les organes génitaux. Excellant dans l'art des greffes, il agit en chirurgien et non en psychologue. Pour lui, le désir est entre les jambes et non dans le cerveau. En avance sur son temps, Voronoff découvre l'importance fondamentale des glandes sexuelles dans les comportements et l'esprit humains. Mais sa réputation sulfureuse finira par se retourner contre sa valeur scientifique dans un combat entre éthique et raison. This one day event seeks to bring together PhD students and ECRs interested in how the movement, citizenship, and ‘prospects’ of those with unseen, or invisible, health conditions have been historically controlled. The term ‘unseen’ can be interpreted as internal, hidden, or even transient forms of disease/disability, whether mental, physical, infectious or non-infectious. Controls could be formal - designed by the nation-state against individuals or groups of people deemed to be a ‘threat’, or informal discriminatory practices at a ‘local’ level. This broad scope could include curtailing mobility over local, regional or national borders; denying health, welfare, housing or employment support/rights; or restrictions placed on a person’s ‘social capital’ precluding them from socio-economic circles. How the state/society acted to marginalize individuals and groups showing no obvious signs of ‘impairment’. How proof of immunity/vaccination/recovery improved or impaired a person’s mobility, or their economic, political, and social capital. How risk was associated with certain groups or people; were these theories scientifically informed or culturally constructed? What assumptions were made in relation to conditions perceived to be self-inflicted or due to a person being in an environment unsuitable for their ‘racial profile’? How did the state reconcile commercial and public health considerations? How the larger community dealt with the lack of official intervention against the invisible contagious types. Has disease-status made discrimination against afflicted groups more politically and socially acceptable? There are no restrictions on chronological or geographical focus. We aim to offer a collegial, informal atmosphere enabling junior scholars to be given valuable feedback on their work. Refreshments, lunch and a wine reception will be provided. We hope to offer a number of bursaries to assist with travel costs. Please send a short abstract (250 words) and a CV (1 side A4) to Jennifer.Kain@sas.ac.uk and Kathryn.Olivarius@sas.ac.ukby Monday 29 May 2017. 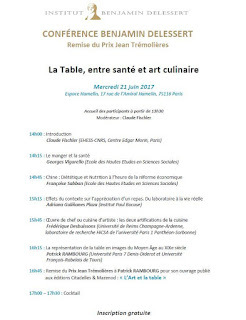 L'idée qui guide notre atelier « Psy-ences » consiste à essayer d'avoir chaque année un panel de présentations qui illustrent les thématiques, pistes de recherche et méthodologies actuelles dans l'étude des sciences ayant à voir avec le « psychisme » construit au sens très large. Le thème de l' « institutionnalisation », retenu pour cette session, vise à identifier à la fois les processus académiques et disciplinaires qui ont gouverné et gouvernent la création et le fonctionnement de ces sciences, les dynamiques politiques, sociales, religieuses, culturelles qui déterminent la prise en charge des phénomènes « psy » (qu'on les aborde sociologiquement ou historiquement, ou les deux à la fois), et les conceptualisations récentes qui permettent d'en élargir le champ ou la compréhension (par exemple, du point de vue des sciences cognitives et de la philosophie de l'esprit, au travers des idées de « cognition incarnée » et de « cognition étendue »). C'est donc une perspective extrêmement large que nous favorisons, pour faire en sorte que les différents praticiens et spécialistes puissent à la fois échanger au niveau de leurs objets d'étude, de leurs méthodes d'analyse et de leurs outils théoriques. 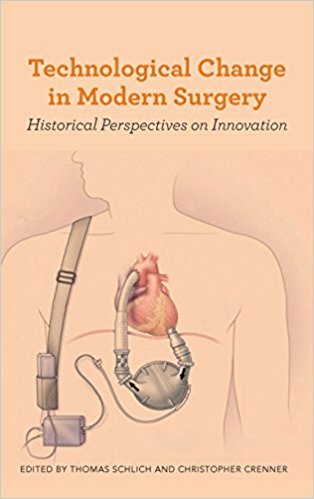 Surgery is an ideal field for examining the processes of technological change in medicine. The contributors to this book go beyond the concept of innovation, with its focus on a single technology and its sharp dichotomy of acceptance versus rejection. Instead they explore the historical contexts of change in surgery, looking at the complex dynamics of the various treatment options available -- old and new, surgical and nonsurgical -- as well as the variable character of the new technologies themselves, thus broadening and transcending the notion of technological innovation. On Thursday 25 May 2017 the Wellcome Library will host a one-day symposium on its Greek manuscripts, aiming to explore hitherto unknown or very little studied medical texts. Topics will include the diagnosis and therapy of diseases, and the ownership of manuscripts by physicians. Other papers will reflect on the interrelationship between medicine and astronomy, poetry and divinatory texts. There will also be an opportunity to view a selection of the Library’s Greek manuscripts. The symposium will be followed by a concert of Byzantine hymns on medicine. These are unique medical texts which are preserved in one of the manuscripts of the collection and will be performed for the first time in the United Kingdom. Participants will be able to explore the connections between music, memory and medicine in 13th-century Byzantium through a live performance. The event is free to attend. To register, please contact Petros Bouras-Vallianatos (petros.bouras-vallianatos@kcl.ac.uk) by Monday 22 May. MS. MSL. 60 (a late Byzantine bilingual glossary of pharmacological plants in Greek and Arabic; the Arabic term is given in Greek transliteration), folio 71v. Image credit: Petros Bouras-Vallianatos. In the 1960s, as illegal drug use grew from a fringe issue to a pervasive public concern, a new industry arose to treat the addiction epidemic. Over the next five decades, the industry's leaders promised to rehabilitate the casualties of the drug culture even as incarceration rates for drug-related offenses climbed. 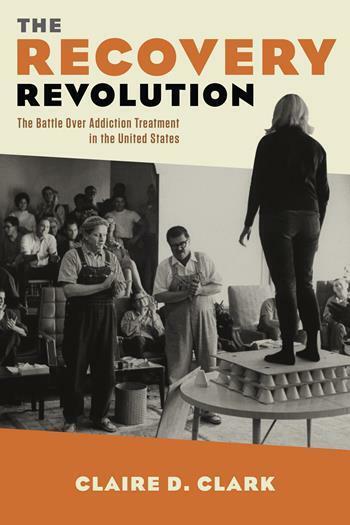 In this history of addiction treatment, Claire D. Clark traces the political shift from the radical communitarianism of the 1960s to the conservatism of the Reagan era, uncovering the forgotten origins of today's recovery movement. Based on extensive interviews with drug-rehabilitation professionals and archival research, The Recovery Revolution locates the history of treatment activists' influence on the development of American drug policy. Synanon, a controversial drug-treatment program launched in California in 1958, emphasized a community-based approach to rehabilitation. Its associates helped develop the therapeutic community (TC) model, which encouraged peer confrontation as a path to recovery. As TC treatment pioneers made mutual aid profitable, the model attracted powerful supporters and spread rapidly throughout the country. The TC approach was supported as part of the Nixon administration's "law-and-order" policies, favored in the Reagan administration's antidrug campaigns, and remained relevant amid the turbulent drug policies of the late twentieth and early twenty-first centuries. 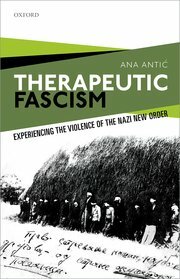 While many contemporary critics characterize American drug policy as simply the expression of moralizing conservatism or a mask for racial oppression, Clark recounts the complicated legacy of the "ex-addict" activists who turned drug treatment into both a product and a political symbol that promoted the impossible dream of a drug-free America. ABOUT THE AUTHOR Claire D. Clark is an assistant professor of behavioral science at the University of Kentucky. Her work has been published in the American Journal of Public Health and Social History of Alcohol and Drugs. This is an exciting opportunity to join a relatively new research team carrying out comparative collaborative work on medical practices. In particular we are looking for a historian to conduct oral history interviews, and relevant archival research, in Budapest, Tamale and Maastricht. The historian will attend to doctors’ learning and teaching with technologies. He/she will work independently and in collaboration with the two PhD ethnographers and the principal investigator (PI) of the project, Anna Harris. The postdoctoral researcher will have the opportunity to expand on the details of their own research based on their expertise, the material they gather and their own ideas, in consultation with the PI. They will also work synergistically and collectively with the rest of the team. For example, they will: play a crucial role in the conceptual and methodological innovations required by the project as a collective endeavour; lead, and contribute to, academic publications; participate in team meetings; offer active support to the PhDs; engage in presentations; and be involved in the co-organisation of workshops and other events related to the project. Historians who have a completed PhD in the history of medicine and/or technology (or another relevant topic/field, such as the senses, media or education for example), with methodological experience in oral history interviewing, are invited to apply. The postdoctoral researcher will be based in Maastricht and will spend several months conducting interviews in Hungary and in Ghana. The successful candidate must be willing to travel, be open to working together with a team of anthropologists and STS scholars on a collaborative project, and have excellent organisational abilities. Excellent communication and writing skills in English are a prerequisite, since the candidates will be engaging on an international level, collaborating with other team members in English and producing English-language publications. Knowledge of Hungarian or a Ghanaian language is an advantage, however not essential as interpreters will be hired for the oral history interviews if necessary. We offer a 1.00 fte appointment as Researcher for 3 years. The first year will be a probation period, after a positive assessment the position will be extended for the remaining two years. Your position of Post-doctoral Researcher (Onderzoeker 3) will consist of 100% research. Remuneration will be according to standard salary levels, depending on education and relevant work experience. This implies a gross monthly salary of about € 3.068,00 per month, scale level 10 (based on a full-time appointment). Each year the standard salary is supplemented with a holiday allowance of 8% and an end-of-year bonus of 8.3%. After a positive assessment a promotion to scale 11 is possible in the 2nd year. You have to be willing to move to (the vicinity of) Maastricht. If you do not already live in Maastricht (or its direct surroundings) you will be eligible for an allowance for moving costs. If you do not already live in Maastricht (or its direct surroundings) you might be eligible for an allowance for alternative housing. Maastricht University is renowned for its unique, innovative, problem-based learning system, which is characterized by a small-scale and student-oriented approach. Research at UM is characterized by a multidisciplinary and thematic approach, and is concentrated in research institutes and schools. Maastricht University has around 16,000 students and 4,000 employees. Reflecting the university's strong international profile, a fair amount of both students and staff are from abroad. The university hosts 6 faculties: Faculty of Health, Medicine and Life Sciences, Faculty of Law, School of Business and Economics, Faculty of Humanities and Sciences, Faculty of Arts and Social Sciences, Faculty of Psychology and Neuroscience. The Faculty of Arts and Social Sciences (FASoS) has about 250 staff members, and about 1,600 students. More than 75% of the students are non-Dutch (almost 40 different nationalities). All programmes are offered in English and some are also offered in Dutch. FASoS offers two 3-year Bachelor’s programmes: Arts and Culture and European Studies. It also offers six different 1-year Master’s programmes and two 2-year research Master’s programmes. Applicants are invited for a 3-year postdoctoral position within the project “Making clinical sense: A comparative study of how doctors learn in digital times”. The project is funded by the European Research Council (Starting Grant), awarded to the principal investigator, Anna Harris. Digital technologies are reconfiguring medical practices in ways we still don’t understand.“Making clinical sense: A comparative study of how doctors learn in digital times” seeks to examine the impact of the digital in medicine by studying the role of pedagogical technologies in how doctors learn the skills of their profession. It focuses on the centuries-old skill of physical examination; a sensing of the body, through the body. Medical students are increasingly learning these skills away from the bedside, through videos, simulated models and in laboratories. A research team of three ethnographers and a historian will interrogate how learning with these technologies affects how doctors learn to sense bodies. Simultaneous, comparative fieldwork will soon be undertaken by three ethnographers (the PI and two PhDs) with medical students and teachers in medical schools and teaching hospitals in: Maastricht, the Netherlands; Budapest, Hungary; and Tamale, Ghana. The role of the historian will be to conduct oral histories at each of these three sites, focusing on the introduction and incorporation (or otherwise) of technologies in medical education. Through the rich case of doctors-in-training, this historical-anthropological study aims to address a key challenge in social scientific scholarship regarding how technologies are implicated in bodily, sensory knowing of the world. A letter of motivation summarising relevant experience and reasons for interest in the position. A CV including a complete list of publications. A grade transcript of previous education at Master/graduate level. Their best article or book chapter, preferably single-authored. All applicants will be notified within one month following the deadline as to whether or not they have been selected for an interview with the search committee. Short-listed candidates will be asked to write a research proposal related to the project described above, of 1,000 words (further details will be supplied) and provide two references. Interviews will take place in Maastricht and/or via Skype. The next lunchtime seminar of the Centre of the History for the Emotions will take place on Wednesday May 24 at 1pm in 6.02 Graduate Centre, QMUL, Mile End. Please note the change in room and date from original advertisements. Javier Moscoso (Spanish National Research Council) will give a paper titled 'Ambition: symptoms and treatments during the early 19th century'. This presentation wants to contribute a small chapter to the general history of the human passions. My aims are triple: first, I would like to touch on the cultural significance of ambition during the early 19th century, understanding ambition as both a dangerous sentiment and a pathological passion. Secondly, I would like to call your attention on some of the physical and moral treatments of ambition that were explicitly or implicitly considered at the time. These will take us to explore some of the remedies prescribed in the institutions for the mentally ill, of course, but also in many other environments. Since ambition was thought to lie at the very core of recent political events, the French Restoration produced a very significant number of treatises that included very often recommendations to avoid, regulate, or restrain immoderate passionate states. From treatises on military life to tourist guides, I would like to explain not only the cultural forms in which certain bodily changes could be felt, expressed, repressed or conceptualised, but the way in which those same emotions and passions could shed some light on wider cultural phenomena. All talks are free, booking not needed. Lunch will be provided. The talk will take place in room 6.02, Graduate Centre, Mile End Campus, London E1 4NS. For directions to Mile End and a campus map, see bit.ly/QMcampusmap. 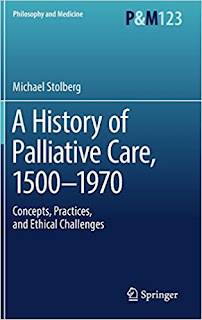 This book on the history of palliative care, 1500-1970 traces the historical roots of modern palliative care in Europe to the rise of the hospice movement in the 1960s. 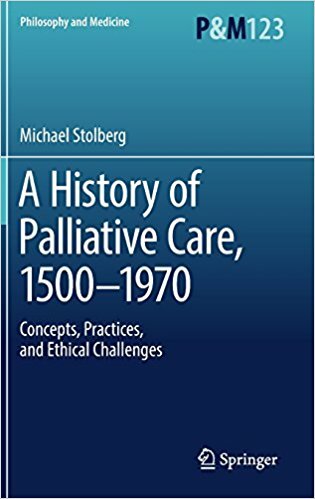 The author discusses largely forgotten premodern concepts like cura palliativa and euthanasia medica and describes, how patients and physicians experienced and dealt with terminal illness. He traces the origins of hospitals for incurable and dying patients and follows the long history of ethical debates on issues like truth-telling and the intentional shortening of the dying patients’ lives and the controversies they sparked between physicians and patients. An eye opener for anyone interested in the history of ethical decision making regarding terminal care of critically ill patients. The history of medicine is rich in accounts of the use of medicinal substances. Usually, research projects in this field either focus on a certain region or on a certain time period. To date, few accounts cross the borders of cultures, periods and languages. The understanding of this issue is a priority for scholars who are working on the history of both medicine and medicinal substances. This workshop aims at being the starting point for historical work from multiple perspectives on the medical and pharmaceutical use of different therapeutical substances from antiquity to Early Modern times. ▪▪ In the first, “multi-regional” section, we will cover a wide geographical range, from the Chinese empire to Europe during the Ottoman era; discussions will focus on the mapping of materia medica in Chinese sources, the new iatrochemistry in the Ottoman era, and finally the understanding and classifying of historical drugs in Europe. ▪▪ The second, Arabic section will shed light on the Arabic civilization, an important stage in the global history of the development of medicine; the talks in this section will correspond to two of the three main classification categories used by physicians in this period, namely herbs and minerals. Here, the discussion will go deeper into the relationship between stones and alchemy, and the theory and practice of substituting herbal components in Arabic medicine. This workshop will provide an essential platform for understanding the usage of medicinal substances in multiple historical periods, geographical regions, and civilizations.